Image: Richard Cartwright/ABC - © 2017 American Broadcasting Companies, Inc. If you’re still watching Grey’s Anatomy, by now you have a stone-cold heart. It’s the only way a human can deal with that much gut-wrenching tragedy. And surprise! There’s more heartbreak on the way, Grey’s fans. At least nobody is dying this time though (that we know of). More: Dr. Yang Could Return to Grey’s Anatomy! 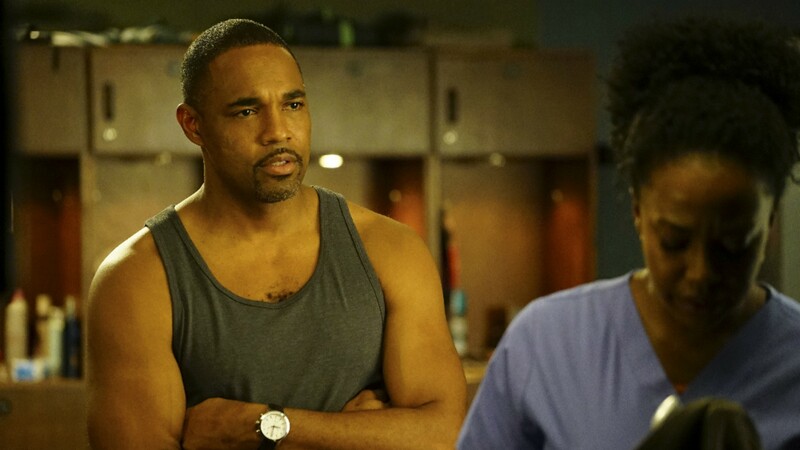 As Jason George, who plays Ben, gets ready to exit the show to join the cast of ABC’s upcoming firefighters spinoff of Grey’s, he’s dishing on what that means for the future of his character’s relationship with Bailey. Spoiler alert: It’s not good. If that isn’t a theme that’s been drilled into our heads since the very beginning of Grey’s, I don’t know what is. George also talked a little bit about Ben’s motivations for leaving his promising career as a surgeon behind to become a firefighter, a decision he’s been grappling with in recent episodes. As for how that’ll affect Ben’s relationship? Well, despite George’s pessimistic outlook on their future, we’ll just have to keep watching and see. The only thing Shonda Rimes loves as much as making her viewers suffer is a good plot twist, so maybe they’ll work things out after all.